Three things we love about Delaware: Tax-free shopping, the Blue Hens, and how you’re never far from a Rita’s. Three things we hate about Delaware: Expensive car insurance, Rehoboth traffic, and did we mention expensive car insurance? It’s not always easy to find a cheap car insurance policy in Delaware, but Compare.com can help. We’ll go over the DE state minimum requirements and how you can find the best rates. Or, if you want the TL;DR version, hurry up and get your own personalized quotes on Compare.com. It’s free. It’s fast. It totally works. 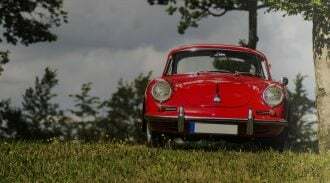 What are Delaware’s Auto Insurance Requirements? • $25,000 in bodily injury liability per person and $50,000 per accident. Bodily injury liability is the part of your insurance that pays for other people’s medical bills and other losses if they get hurt in an accident you’re responsible for. • $10,000 in property damage liability, which pays for damage to other people’s cars (or other property) in an accident you’re responsible for. 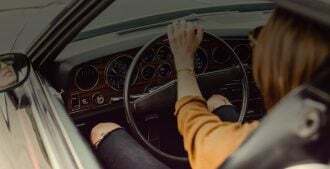 Delaware residents may decline uninsured/underinsured motorist coverage in writing if they choose, but as a matter of course, it will be included in your policy. Uninsured motorist (UM) coverage and underinsured motorist coverage (UIM) pay for injuries or property damage you and your passengers suffer if an uninsured, underinsured or hit-and-run driver causes an accident. Delaware car insurance also must include personal injury protection (PIP) which is money you and your passengers can use to pay for medical bills, lost wages, funeral costs and other expenses after an accident. Delaware’s minimum car insurance requirements include $15,000 in PIP per person and $30,000 per accident, with a $1,000 deductible. Why is Car Insurance so Expensive in Delaware? Of all 50 states, Delaware ranks eighth for the highest average car insurance rates, according to the Insurance Information Institute. Delaware car insurance costs a lot because it’s a dense, urban state. More people means more cars, which means more crashes and crime — and higher car insurance rates. The cost of car repair is also unusually high in Delaware. We do have a little good news for you, though! In 2018, a new law went into effect that prevents Delaware insurance companies from considering an insurance credit score based on things like income, gender, education, address, ZIP code, or marital status. This is supposed to reduce unfair, discriminatory practices by car insurers. How do I Find the Cheapest Insurance Rates in Delaware? Even if the average Delaware car insurance rate is high, it’s still possible to do better than average! The trick is to compare as many personalized quotes as you can. That’s because every insurance company comes up with its rates independently, so quotes for the same person and the same level of insurance can often vary by $100 per month or more. You can’t assume a company is offering you a good deal until you compare its quote side by side with others. How Does Compare.com Help You Save Money? Let’s look at a sample driver: a 27-year-old woman with a good driving record who’s living in Wilmington, DE. To get multiple quotes, she’ll begin by entering some basic information on Compare.com. If she is looking for the lowest rates on a policy, she can select state minimum coverage — the least amount of insurance she can carry and still drive legally — and opt to pay for six months of premiums up front, which gives her the lowest rates. For our sample driver in Wilmington, her quotes for state minimum coverage range from $128 to $160 per month. What if our driver can’t afford to pay premiums up front? Selecting “pay as you go” returns quotes of $143 to $189 per month, plus a down payment that usually equals or exceeds the monthly payment. If she drives a newer car, she’ll need to protect it with comprehensive and collision coverage, too. Our Wilmington driver owns a five-year-old Honda Accord, so she selects Basic coverage, which adds comprehensive and collision (with a $1,000 deductible). Now, her quotes range from $231 to $352 per month, paid up front. See a huge difference? That’s why it pays to compare. Maybe she wants even more coverage because she owns a house and doesn’t want to risk losing it in a crash-related lawsuit. (Delaware is a tort state, which means you can be sued if a car crash if your fault.) Plus coverage increases the bodily injury/property damage, and UM/UIM liability limits, to 50/100/50 and cuts the collision/comprehensive deductible to $500. PIP coverage is also increased to 50/100, with a $500 deductible. She also gets towing and rental car coverage. With all this coverage, our Wilmington driver’s best quote is $280 per month. She can adjust the price by clicking “Customize Coverage.” Raising deductibles, lowering coverage limits and dropping extras, like towing, can all bring down the price of car insurance. What Happens if I Can’t Afford to Insure My Car in Delaware? Why pay $1,500 to the state when you could spend that money to get insured instead? Compare.com can help you find the cheapest auto insurance quotes in just minutes. Start today!